This affiliate program is closed, good night! Attention webmasters: Havana Casino has closed as of September 2013. Affiliates should remove their banners and replace your tracking links. Havana Casino Affiliates is the casino affiliate program for the US facing Havana Casino. The software is by Amigotechs and the casino is licensed in Costa Rica. The casino is in English and takes players around the world including Canada and the United States. Affiliates get a starting revenue share commission of 25% and it can go up to 35% based on performance for generating over $20,000 in revenue. There is no listed cpa and the sub affiliate commission rate is 5%. 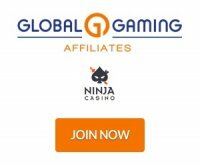 The affiliate program uses EGASS software and it has a well designed user interface that includes up to date statistics on referred players and earnings. Affiliates have tracking links and banners to use on your affiliate website. The casino is a great product that players love. Affiliates will like the egass backend software which makes tracking of results easy and also easy to get the creatives you need.